Miller Auditorium is the premier performing arts venue in West Michigan and features touring productions straight from Broadway, live concerts, comedy events, and family shows. KSO utilizes Miller for most of our Symphonic performances. Click here for the Miller Auditorium seating map. Miller Auditorium is located on the campus of Western Michigan University. Parking is free and available in the attached garage or adjacent lots. 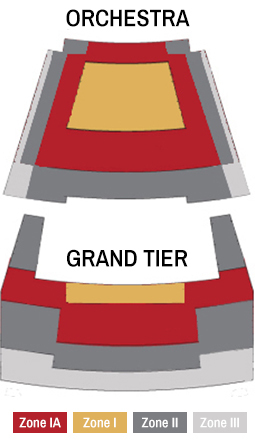 There is a drop-off area in front of the main doors. Handicapped parking is available just inside the garage. Chenery Auditorium… there's just not a bad seat in the house! Chenery offers multiple entrances and aisles for easy seating and an orchestra shell that presents the audience with an astounding audio/visual experience. Chenery is the perfect venue for many of the KSO's Symphonic, Special Event and Family Discovery concerts. It also is the home of our annual Sounds of the Season December holiday concert. 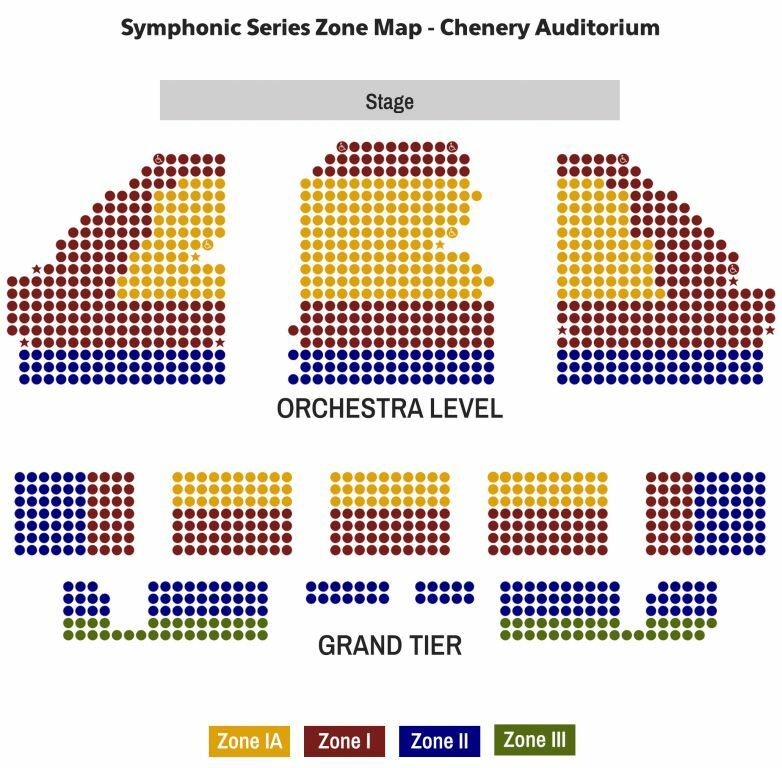 Click here to view a Chenery Auditorium seating map. Parking at Chenery is free and available in the parking lot located behind the building. There also is street parking available surrounding the building. The Epic Center, located at 359 South Kalamazoo Mall in downtown Kalamazoo, is home to the Kalamazoo Symphony Orchestra as well as 9 other arts organizations, one retailer, and the Central City Tap House restaurant. The KSO offers several special events throughout its season in the Epic Center's Judy K. Jolliffe Theatre, including the popular Classics Uncorked. The Epic Center Parking Ramp at the corner of South and John Street offers covered, attached parking for a fee. This parking garage has a direct entrance to our facility, which you can access two ways: through doors into the Epic Center lobby from the ramp's second floor on the Lovell Street side; or, directly from outside the ramp's elevator on the third floor. Parking also is available on surrounding downtown streets, and on-street parking is free after 5 p.m. weekdays and all day Saturday and Sunday, including at metered spaces. Click here for more information about parking downtown. The Backroom at Bell’s Eccentric Café accommodates 300 guests and offers 20 draft options. Located at 355 East Kalamazoo Avenue, Kalamazoo, Bell's is the perfect setting for an intimate evening of chamber music and friends. Enjoy a pint of Kalamazoo's best-loved brew whil listening to our great KSO musicians in a relaxed atmosphere. The Eccentric Café has lots to the North, East, and West of the Café that offer plenty of parking options close by. With the exception of the Bell's Parking Emporium, all of their lots are free. Located at 314 S. Park St. Kalamazoo (downtown), the KIA venue is an elegant, energetic, and intimate space to hold smaller, collaborative performances. Join us before performances to view the KIA Gallery and have a glass of wine. Parking is free and available in their South Street and Lovell Street lots. Museum entrances are located on both South Street and Lovell Street.